Engineering genius brings 42GB DVDs, but why? New disks that can't be played anywhere - whatever next? 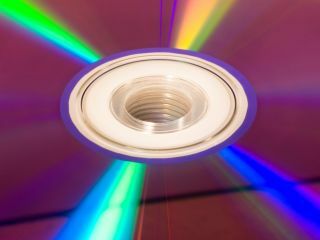 Although it's not clear why they bothered, a team of university researchers has managed to create a new kind of DVD that can hold far more data than even the most capacious current DVDs. The clever types at the Institute of Multidisciplinary Research for Advanced Materials at Tohoku University in Japan changed the shape of the pits on the surface of a disk to enable each one to hold more data. Apparently, pits shaped like a 'V' instead of normal flat ones allow room for nine times more binary digits, resulting in a DVD that can hold 42GB of information. That's all very well, but the obvious question has to be asked – why? The disks won't work in any current machines, nor is any manufacturer likely to invest in one, now that Blu-ray and its 50GB disks are upon us.